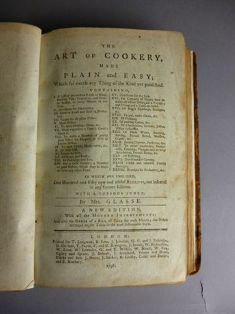 The Antiquarian book auction at Bearnes Hampton & Littlewood on the 21st August 2013, will include a small collection of early cookery books, including a late 17th manuscript bound collection of recipes encompassing gooseberry wine, pickle large cucumbers, and black cherry brandy. 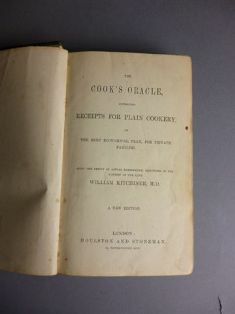 With the explosion in TV cookery programmes, celebrity chiefs, fine dining, etc, there is a strong demand for obscure and ‘lost’ recipes. Also in the sale is Salmon, William. 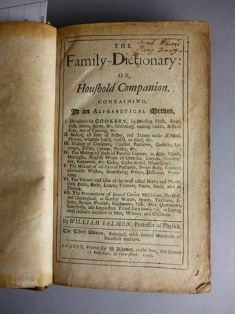 "The Family-Dictionary: or, Houshold Companion” , with an intriguing recipe for Court-Jelly made with four calves feet. 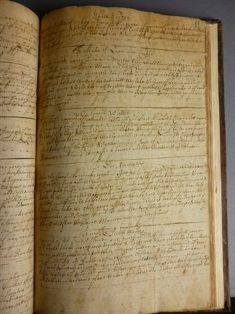 Authors of other books in the collection are Hannah Glasse, Elizabeth Raffald, John Farley, Elizabeth Smith, William Kitchiner, etc.